The Saab display at the 2010 Paris auto show. The Swedish automaker wants to resume sales in China and Russia next year, and target sales in Mexico and Brazil. (Bloomberg) -- Saab Automobile aims to start selling cars in China, Russia, Brazil and Mexico in the first half of next year, its sales chief said in an interview. Saab, the Swedish automaker owned by Spyker Cars NV, is negotiating with potential distribution partners in the four countries and aims to reach agreements by the end of the year, said Adrian Hallmark. 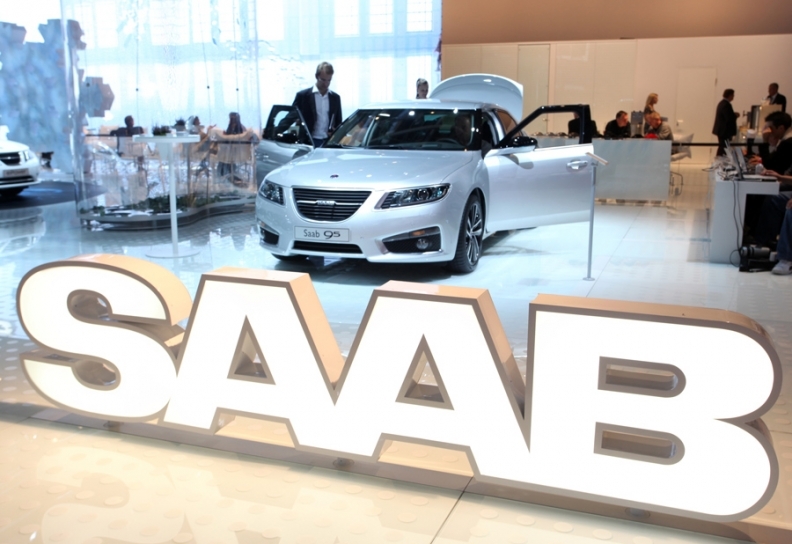 General Motors Co., which sold Saab to the Dutch super-car maker in February, halted its imports of the Swedish brand into China and Russia during the economic crisis that started in 2008, Hallmark said.